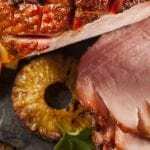 Place the gammon in a pot and fill the pot with Ginger Ale/Cider. Peel and cut the veg and place in the pot. Cook 30 minutes for each 500g. Once the gammon is cooked take it out the pot and allow the gammon to cool. Peel the skin off exposing the fat layer. Using a sharp knife, score into a diamond pattern. Stud the gammon with a few cloves. Pre heat oven to 170. 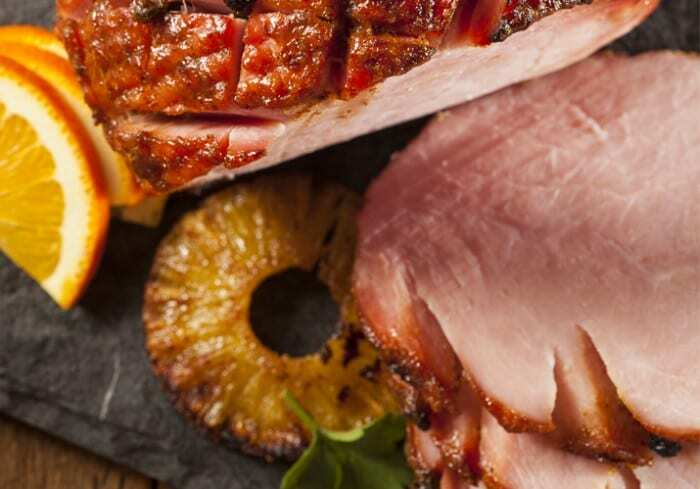 Place gammon in a roasting pan and brush gammon with Woolworths Pork and Gammon glaze. Place roasting pan on the lowest rack in the oven and set oven to the grill. Baste frequently and grill until golden brown for 10 - 20 minutes.